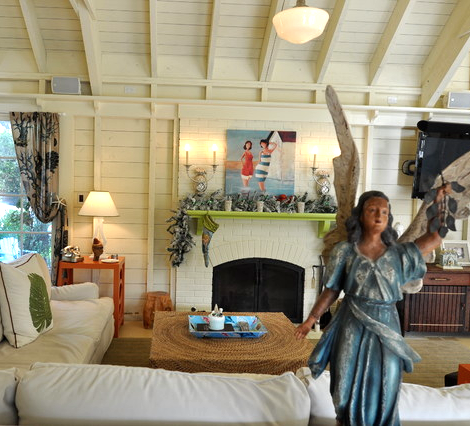 A coastal eclectic home with two Christmas trees, and lots of beachy touches that bring images of snowy winter scenery to mind. A seahorse Marquee Sign. creates ambient lighting. 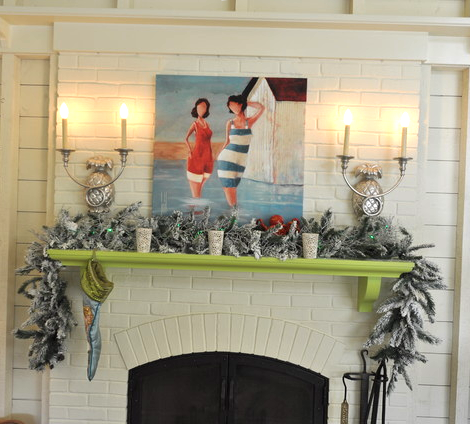 The snow dusted garland is pretty and complements the silver candle sconces. The home feels warm and cozy with all the wood, and mix of colorful touches. The angel adds to the magic. 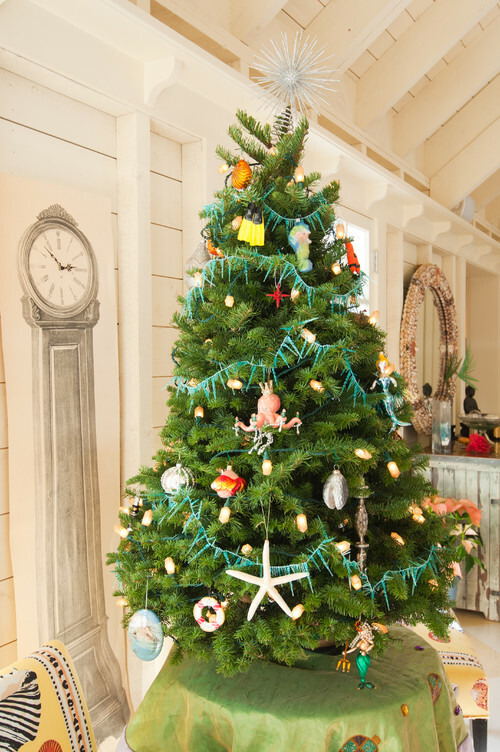 The Christmas Tree is decorated with all kinds of sea inspired ornaments. 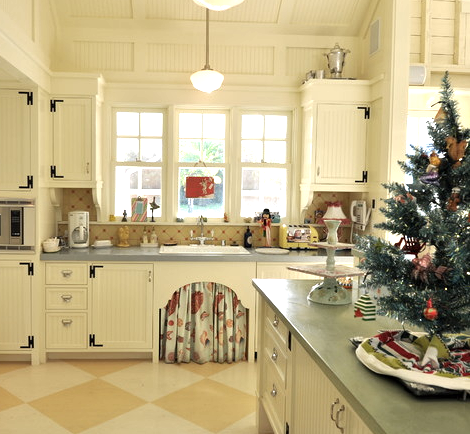 And a Tiny Tree sits on the kitchen counter. 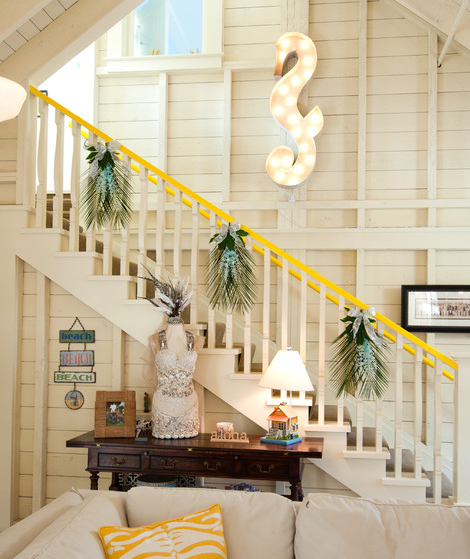 This beautiful coastal home is featured on Houzz. Head over there to see the rest of the pictures.